Friday night was an evening of art at Northstar Church in Panama City, FL. 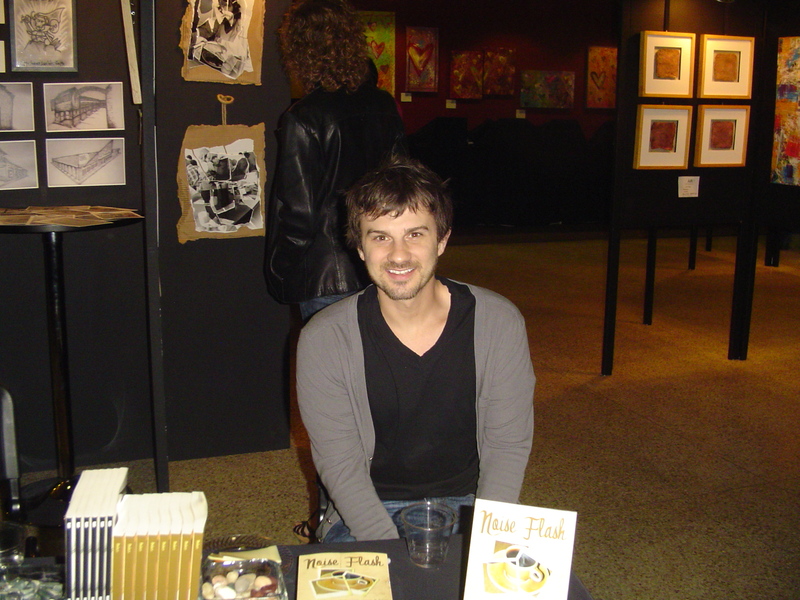 It was at this annual event that Lee Baker chose to debut his book, noise flash, a collection of poetry about people, places, and things. Surrounded by friends, family, and new acquaintances, Lee signed books and greeted all who came to be a part of the celebration. A friend, and fellow Energion Publications author, Nick May (Megabelt), was also in attendance and signed a few of his own books.